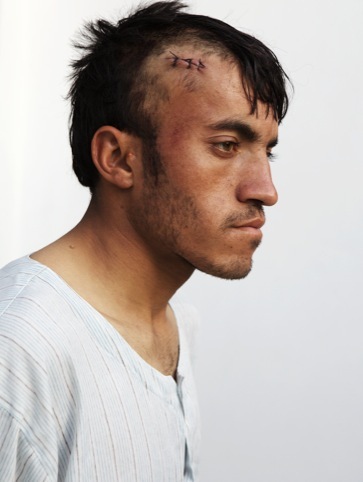 In 2011 Giles Duley’s humanitarian photography project in Afghanistan was interrupted when he stepped on an IED. The British photographer, who was embedded with the US army sustained life-threatening injuries, which left him a triple amputee. Duley, who returned to the country in October 2012 to pick up where he left off, says the project remains the same at heart and has the same focus. Now an exhibition at KK Outlet will look at his body of work to date. ‘The work I do hasn’t changed, but the audience has got bigger. I’m telling the same stories, which have always been important to me, but my voice has got louder,’ says Duley. His return to Afghanistan is also the subject of a Channel 4 film The Walking Wounded, which will be screened on 21 February. Duley was doing most of his work in Africa around the time of the incident, choosing not to work in Afghanistan as he felt most of its stories has already been told. However, it was the stories of the US soldiers deployed there he was looking to tell when it happened. As part of his Afghanistan (2012) exhibition, Duley will give a talk about his experiences in Afghanistan and how his injuries have changed the way he works. The photographs meanwhile will, according to the gallery, show Duley to be ‘a compassionate and talented visual story-teller’. 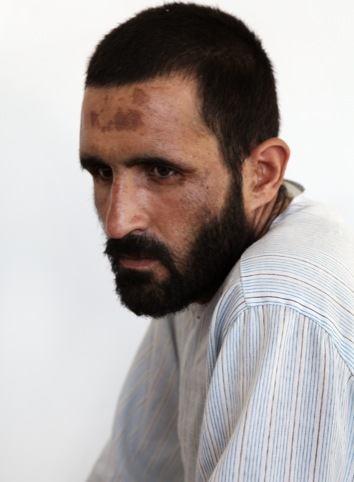 Giles Duley: Afghanistan (2012) runs from 5-30 March at KK Outlet, 42 Hoxton Square, N1 6PB. Duley will give an artist talk on 14 March at the gallery.